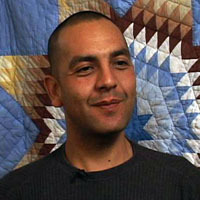 Shane Doyle, an enrolled member of the Crow Tribe who hails from Crow Agency, Montana, has a Master’s degree in Native American Studies at Montana State University and is currently working on a Ph.D. in education. He is a founding member of Native Nexus, an educational consulting company that helps with implementing Indian Education for All. Mr. Doyle’s interview shares his knowledge of 19th century federal Indian policies as well as his thoughtful insight into the important role of family in traditional and contemporary Indian culture. Tribal Diversity - Shane Doyle. The Family Unit - Shane Doyle.